Click / tap on a link to jump to that item. Robinson Racing GEN3 Slipper Units are over-engineered to meet the punishing demands of the most powerfull brushless motor systems! GEN3 Slipper Units will not fail under the enormous load conditions of todays brushless motor systems. The new GEN3 Slipper Unit is a captured design to prevent slipper pad blowout and deliver maximum power to the ground. 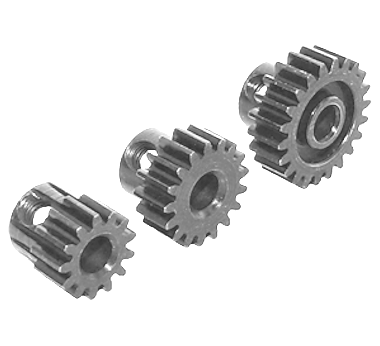 The hi-performance hardened steel spur gear will not fail or strip. Aircraft grade billet aluminum backplate will not bend or break. Increased surface area of the oversized pad insures dependable performance. Less total parts reduces flex and wobble in the spur gear and slipper unit. Precision machined, hardened steel spur, with a blackened finish that improves lubricity (the capacity to reduce friction) and anti-galling (metal cracking/breaking from friction) characteristics resulting in better mating surfaces and smoother running gears. With an extra heavy duty .8 module/32 pitch tooth profile, don't be afraid to pour on all the power you got. 3S LiPO's no problem! The backplate is 100% machined from airplane grade solid billet aluminum making it very strong and very hard. It will not warp or break. The backplate uses a captured design to hold the extra thick slipper pad solidly in place. A new bearing, instructions and some RRP decals are also included in the kit. Hop-up your E-MAXX and unleash the power and the FUN!!! 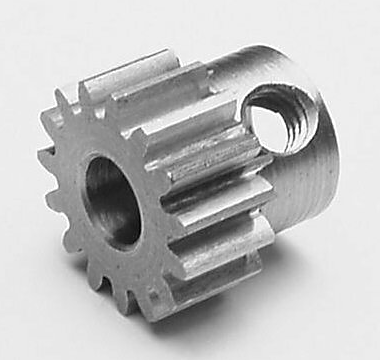 TECH NOTE: You're going to need a hardened steel pinion gear to run with this spur gear. See the motor pinions listed below for a selection of extra hard high carbon steel 5M/M bore motor pinions we recommend to use with the GEN3 Slipper Units. Extra hard high carbon motor pinions are built to last with our hi-performance GEN3 steel slipper units. Made from high carbon steel and then heat treated to increase the hardness of the surface even further. High carbon steel is naturally lower in friction and adhesion than milder grades of steel making these gears ideal for use with metal spur gears. All pinions precision machined and stamped with the number of teeth. One 4 m/m set screw included. 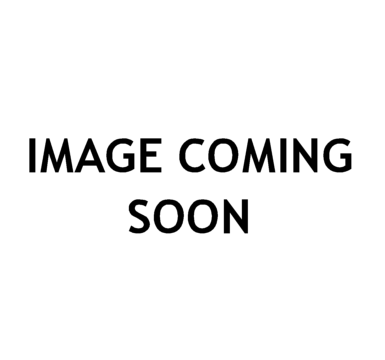 2 m/m allen wrench (NOT INCLUDED) fits the 4 m/m set screw. Can be run on motors using a 5 m/m motor shaft including Traxxas, Associated, and HPI models or for any heavy duty application. 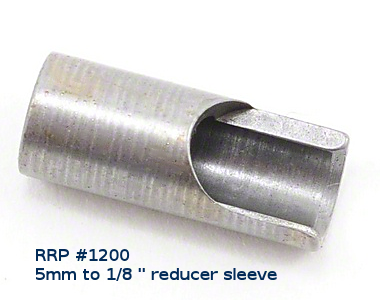 TECH NOTE: RRP#1200 5 m/m to 1/8 inch Reducer Sleeve required for 1/8 inch shaft motors. TECH NOTE: 32 pitch and .8 module gears can be used together with no adverse affects such as increased noise or increased wear. The difference is that .8 module gears have a slightly larger outside diameter per tooth, roughly .00027 of an inch.